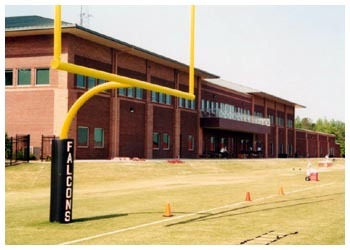 The Atlanta Falcons Corporate Office & Training Facility is a state-of-the-art 78,000 square foot facility at the focal point of this NFL teams 50 acre complex. The building brings front office and training personnel under one roof with the players. Players and coaches now have access to on-site practice facilities and training rooms and services. 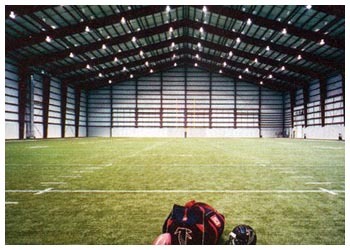 The complex features 3 full size outdoor fields, and one indoor field. On site grounds keeping is coordinated from the new 12,000 square foot turfcare and maintenance building. 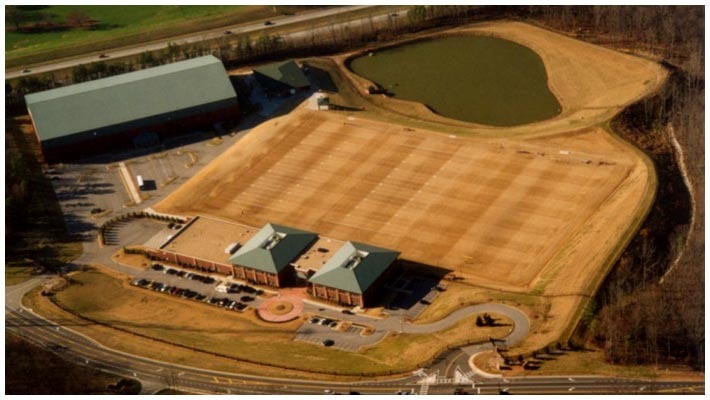 A separare on site heated indoor practice field building was constructed, that houses a full size 100 yard field with side lines, end zones, and 80 ft of vertical clearance for unhindered NFL level kicking practice. Construction was completed in 1999.